The editors of The Daily Bell proudly present this comprehensive and exclusive interview conducted by Scott Smith with global strategist and free-market analyst Richard Maybury. Introduction: The former Global Affairs editor of MONEYWORLD, Richard Maybury is one of the most respected business and economics analysts in America. His articles have appeared in major publications. 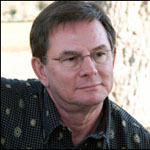 Books include “Whatever Happened to Penny Candy?” “Whatever Happened to Justice?” and “Evaluating Books: What Would Thomas Jefferson Think of This?” His current interest is “The Coming Great War.” His writings have been endorsed by top business leaders, and he is a consultant to investment firms in the U.S. and Europe. He is editor of the newsletter Richard Maybury’s U.S. & World Early Warning Report. Daily Bell: We understand that your speech at the Wealth Protection Conference in Phoenix, Arizona on May 2nd received a standing ovation. What did you say that was so impressive? Richard Maybury: I truly don’t know. I’ve been giving speeches about economics for almost four decades. Maybe it’s a case of the million monkeys with typewriters. Given enough tries, they’ll eventually produce something brilliant. Daily Bell: Well, we’d like to judge for ourselves. Where can we find the speech? Daily Bell: In your speech, you say your work is based on Austrian economics, which is much different than the Keynesian model (pronounced canes-ee-an, named after economist John Maynard Keynes, 1883-1946) used by almost everyone else. Two questions: first, why is it called Austrian? Richard Maybury: The founders, or leading lights, were from Austria. Daily Bell: Second, what’s different about the Austrian model? Richard Maybury: The speech explains this. But very briefly, for one thing, the Austrian view is that the economy is not a machine, it’s an ecology, made of biological organisms, meaning people. People have free wills, and they change their minds, all day every day. Trying to predict their behavior and steer it is like trying to herd cats. Daily Bell: An interesting analogy. Richard Maybury: Imagine putting fifty cats in your house and trying to herd them. What would your house look like afterwards. Daily Bell: Like the economy does now? Richard Maybury: Yes. Very astute of you to pick on that up so quickly. When a government tries to control the economy, it is trying to control people, and people are like cats. Each individual’s brain is hard wired to do what the individual wants, not what the government wants. Daily Bell: Except, we aren’t talking about fifty cats, we’re talking about the world economy, which means 6.8 billion humans. Richard Maybury: Correct. And none of these humans want to be herded. At bottom, the Federal Reserve, the Treasury and nearly every other government agency in the US and abroad, exists for the purpose of steering people as if they were sheep. That’s what government control means – controlling people. Daily Bell: And Austrian economics says this controlling or steering won’t work, it will only make things worse? Richard Maybury: Again, my speech explains, but yes. Or, maybe it’s more accurate to say Austrian economics asks this question: if it is possible for the benefits of government controls on the economy to exceed the costs, where is the evidence? Show us the evidence. Let’s see the numbers. Daily Bell: So, the Keynesian model assumes the government is trying to herd sheep, and the Austrian model says the government is trying to herd cats? Richard Maybury: Well said, you are very good at this. Richard Maybury: And in every case I’ve heard of, in 2,500 years of economic history, trying to herd cats – or humans – has in the long run always led to chaos. Each human has his own plans for his life and very rarely are those individualized plans compatible with the government’s. Daily Bell: But don’t some people want to be sheep? Aren’t there those who believe they need a leader to tell them what to think and do, to take care of them, to keep them safe? Daily Bell: … and trying to force us to follow the plans of some leader isn’t likely to achieve anything except pandemonium. Richard Maybury: Yes. Or at least, I think that’s what 2,500 years of economic history shows. If the sheep and their shepherds would just leave the cats alone, things would probably work out okay. But herding cats? No, it will never work. Daily Bell: And we are living through more of that history now – the shepherds and the sheep versus the cats. Richard Maybury: That’s how I see it. Human DNA is what it is, but for more than a century governments have been trying to make us all into docile, obedient, mindless herd animals that follow the politicians’ plans. Now we are paying the penalty for that. Daily Bell: Some say this economic catastrophe was caused by the free market. They say free markets are inherently unstable and corrupt, and government regulation is needed to keep us on the straight and narrow. Richard Maybury: That’s certainly the orthodox view these days. But to those who claim we have free markets, I say, show me. Free markets? Where? What are you smoking? Daily Bell: Free markets don’t exist? Richard Maybury: During the past century, in the U.S. alone, the federal, state and local governments have enacted tens of thousands of regulations and taxes. That’s a free market? Daily Bell: Tens of thousands? Richard Maybury: It’s impossible to give an exact number, they are literally uncountable. But I can guarantee this. If I spent the rest of my life trying to read them – if I spent 40 hours per week at it – I would barely scratch the surface, because each year more regulations are enacted than any human could possibly read and understand. This is free markets? This is freedom? Daily Bell: You say regulations are difficult to understand. Richard Maybury: Here is an example from a book called The Trenton Pickle Ordinance and other Bonehead Legislation, by Richard Hyman. A law in Texas says that when two trains meet at a railroad crossing, each shall come to a full stop, and neither shall proceed until the other has gone. Richard Maybury: The Arkansas legislature enacted a law forbidding the Arkansas River to rise higher than the main street bridge in Little Rock. In Florida, it’s illegal for a housewife to break more than three dishes per day. In Massachusetts, you are a criminal if you put tomatoes in clam chowder. Idaho law says you need a special permit to conduct a transaction in which you are buying chickens after dark. Daily Bell: (Laughing) We don’t know what to say. Daily Bell: Excessively cheap gasoline? You must be kidding. Daily Bell: So, do you think it is a fair statement to say free markets might be a goal of some people, but no one alive today has ever experienced one? Richard Maybury: Yes, I would agree with that. What regulations in the financial sector do mainly is create a false sense of security among the victims of swindlers. People think they are being protected, but they aren’t, at least not much. The big financial disaster is proof. Despite all the mountains of regulations, millions of trusting people lost sizable portions of their savings. Daily Bell: But surely there must be some kind of control. Richard Maybury: In genuine free markets, there is. Contracts, courts with informed juries, and the forces of competition. Instead, as things stand now, all brokers and other financial entities are under these massive regulatory umbrellas, no matter how incompetent or dishonest they are, so the investor cannot tell the difference between the good guys and the bad guys. All are certified by the government . Remove the umbrella, and very quickly the investors will begin paying attention to such things as court decisions and reputations, and the honest, competent firms will be able to distinguish themselves from the crooks. Daily Bell: So you are saying, what regulations really amount to in the real world is camouflage for criminals. Richard Maybury: Yes, well said. Regulations are mostly a service to crooks. They create a false sense of security. A lot of the individuals you know personally who have recently suffered huge losses in their investment portfolios are the living proof of it. Daily Bell: What do you think is the biggest problem with this idea that governments should be shepherds caring for their sheep? Richard Maybury: The biggest by far is, shepherds don’t work for free, and what starts as the shepherd raising the sheep for their wool, usually ends with the shepherd raising them for their meat. Daily Bell: How close do you think we are to that? Richard Maybury: Look at the US economy. Millions now have lost their jobs, their homes and huge portions of their savings. At the same time, Washington is planning to use this mess as an excuse to raise taxes on the rich. This is not an economic misfortune, it’s the shepherd beginning to go after the meat as well as the wool. Daily Bell: A chilling thought. But many would ask, what’s so bad about raising taxes on the rich? Richard Maybury: I would say to them, show me just one case in 2,500 years of economic history in which raising taxes on the people who create the jobs has yielded more jobs. I’m sure you will find in every case that forcibly taking money from the job creators has made things worse. Daily Bell: You’ve written often that political power corrupts the morals and the judgment. Richard Maybury: Again, look at 2,500 years of economic history. Try to find a case where a government-managed economy didn’t lead to the shepherd eating the sheep. Daily Bell: We are obviously in a very unusual period in history now. What do you think is an aspect of this period that very few investors have recognized? Richard Maybury: Suddenly, knowledge of economics has become critical for financial survival and success. If an investor does not understand how Keynesian economics skews the judgment of both the government and the people who give investment advice, then that investor is headed for a financial train wreck. Daily Bell: Which is what has been happening? Richard Maybury: Yes, and the wreck has only just begun for those who are on the Keynesian track. On the other hand, experience has convinced me that the Austrian model is much more effective at helping people earn money and keep it. If your model, or the model of your investment advisor, is Austrian, then odds are that the past two decades have been wonderful for you, and the next decade will be, too. Richard Maybury: Austrian economics is not infallible, nor is my application of it. But the Keynesian competition has fumbled so often that beside it, in my opinion, even a mediocre application of the Austrian model is dazzling. Daily Bell: What is the most important indicator investors should be watching now? Richard Maybury: Well, I wouldn’t call it an indicator, since there are no reliable statistics on it. I’d call it a force, or a dynamic. It’s velocity, meaning the speed at which money changes hands. Daily Bell: And why is that important? 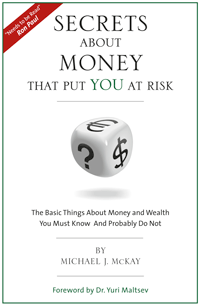 Richard Maybury: Money is like blood, it does little good unless it circulates. When people become fearful, they stop spending and investing, and they flee to whatever form of cash they consider trustworthy. Daily Bell: So, when they are scared, demand for money goes up, and demand for goods, services and investments goes down. Richard Maybury: Correct. And a decline in the speed at which the money changes hands has the same effect as a decline in the money supply. Daily Bell: You’re saying it’s deflationary? Richard Maybury: Yes. Even if the money supply has not declined. If the money isn’t being used for purchases or investments, then it has been taken out of circulation, and this has the same effect as a deflation of the money supply. This is one of the things I explained in my May 2nd speech. Daily Bell: And this is what has been happening? Richard Maybury: I believe so. No one has ever found a good way to measure velocity, so I’m not certain about it, but the anecdotal evidence certainly is persuasive. We all know lots of people who have cut back their spending and/or investing, and are just keeping their money on hold, in short-term insured bank accounts or Treasury bills. Daily Bell: And that’s why interest rates are so low? Richard Maybury: It’s certainly one reason. The money just sits in the banks. The bankers are afraid to loan it out, and borrowers are afraid to borrow it – meaning go more deeply into debt – so the money just piles up and doesn’t accomplish anything. Daily Bell: Because of fear. Richard Maybury: Yes. In my opinion, the velocity problem is the number one economic problem in the world today. Daily Bell: Why do we hear so little about it? Richard Maybury: As far as I know, my newsletter, Early Warning Report, is the only publication that says much about velocity, but I don’t know why. Apparently, for most people velocity is a difficult concept, and the journalists in the mainstream press don’t understand it well enough to be confident they are explaining it correctly. After all, most of them still do not realize that inflation isn’t rising prices, it’s a rising money supply that causes rising prices. Daily Bell: Why do you suppose they don’t get that? Richard Maybury: I have a 1969 edition of Webster’s Third New International Dictionary. The book reports the definition of inflation as, “an increase in the volume of money and credit relative to available goods resulting in a substantial and continuing rise in the general price level.” That definition, which had been used for centuries, led to the question, who increased the volume of money and credit? Daily Bell: And the government didn’t want the question asked? Richard Maybury: Right, because the culprit behind inflation is the government. Daily Bell: So what happened? Richard Maybury: The political class went on a campaign to change the definition. By 1980, pretty much the whole population had adopted the new, simpler definition: rising prices. Like a flock of sheep, the mainstream press in those days went along, and today almost everyone in the US uses the word inflation to mean, rising prices, not a rising money supply. I’m sure very few of today’s journalists realize that when they use the word inflation, they are being led down the garden path by the government’s propaganda. Daily Bell: Another subject you write about often, but we seldom see elsewhere, is malinvestment. Could you explain a bit about that? Richard Maybury: When the government injects newly created money into the economy, the money does not descend on the country in a uniform blanket. Some people receive a lot, others less, and some, none at all. The destinations of the newly created money become hot spots, and businesses crowd into these hot spots to tap into the larger flows of money. Daily Bell: Do businesses do this on purpose? Richard Maybury: Generally not, because very few understand inflation. They just see the rising prices of, say, houses or restaurant meals or haircuts, and they move in to those areas to sell these things to the people who have the extra money. Daily Bell: Some people would ask, is that bad? Where’s the problem? Daily Bell: … the businesses in those former hot spots go broke. Richard Maybury: You’ve got it. The cooling of the hot spots means not only bankruptcies but rising unemployment. Daily Bell: What about malinvestment? Richard Maybury: The malinvestment is, or was, the businesses that were created in the hot spots. If the government had not been injecting money, those businesses would have been created elsewhere. But the distorted prices lured the managers into locating in the wrong places. Daily Bell: So it’s about geographic location? Richard Maybury: Well, I’m just using geography as an example. There are lots of kinds of malinvestment. The thing they have in common is that the decision makers are misled by distorted pricing signals caused by the government’s manipulation of the money supply. Daily Bell: This ties into what you’ve been writing about the recession, correct? Richard Maybury: Yes. Almost the whole world has been taught Keynesian economics, and Keynesian economics sees recessions and depressions as problems. When a recession or depression hits, virtually everyone demands that the government stop it as quickly as possible. Daily Bell: By inflating the money supply. Richard Maybury: Yes. They call this stimulus. What it means is, pumping new oceans of currency into the hot spots that have begun to cool. Daily Bell: So stimulus means, re-inflating the hot spots. Daily Bell: Which means stopping the shakeout of the malinvestment. Richard Maybury: Right again. My key point is that a depression is the correction period following an inflation of the money supply, and when a government re-inflates, as all governments are doing today, it stops the correction. Daily Bell: So the malinvestment is preserved, and as new money is injected into the economy, this creates more malinvestment, which is added on top of the malinvestment that’s already there. Richard Maybury: You have the picture. Daily Bell: If a depression is the correction period following an inflation, what’s a recession? Richard Maybury: A recession is an incomplete depression. The government stimulates, which means it creates more money out of thin air, and this injection of new money stops the shakeout of the malinvestment. Daily Bell: So, a recession is actually worse than a depression, because we go through a surge of bankruptcies and unemployment, but in the end it accomplishes nothing, because government officials re-inflate before the corrections can go to completion. Richard Maybury: Excellent. That’s a good insight. In the long run, a recession is a bigger disaster than a depression, because we go through the agony without accomplishing anything. In fact, the act of aborting the depression, which means injecting a lot of new money, creates more malinvestment. This then requires a more severe depression to correct it. Daily Bell: This is awful. You are saying most of the world is blind to the concept of malinvestment. Richard Maybury: Yes, and you can prove it yourself. Google the word investment, then Google the word malinvestment; compare the number of hits. Most of the world watches investment very closely, but very few pay attention to malinvestment. Keynesian economics does not address it. Daily Bell: Who does pay attention to it? Richard Maybury: The thousands of readers of my Early Warning Report are familiar with it, as are the readers of my little Uncle Eric books. Now, so are the readers of Daily Bell. I congratulate you on helping your readers become aware of a crucially important topic that, very likely, none of their friends have ever heard of. Daily Bell: Sometimes ignorance isn’t bliss. We wonder how many of their friends have gone broke from not knowing about malinvestment. Richard Maybury: Millions, certainly. Almost everyone has been taught Keynesian economics, which does not contain an explanation for inflations, recessions, depressions or malinvestment. Richard Maybury: Because most of the world’s population is educated in government-controlled schools. And, during the Great Depression of the 1930s, Keynesian economics was adopted as official government policy in most countries, especially the U.S and Britain, which were the leaders of the world. Daily Bell: Why was it adopted? Richard Maybury: It teaches that the people need a shepherd. Government interference in the economy is a fine and necessary thing, says Keynesianism, so naturally, that’s what a government-controlled school teaches. There are exceptions, of course – some teachers use, for instance, my little Uncle Eric books – but those teachers are few and far between. Most teachers are Keynesian, although they don’t know it. Daily Bell: And the government is, too? Richard Maybury: Yes. There was a break under Reagan, but except for that, ever since Richard Nixon said, “We’re all Keynesians now,” the federal government’s model has been Keynesian. After all, politicians and bureaucrats – and teachers – are raised in the same government-controlled schools as the rest of us. Daily Bell: So the government does not understand recessions and depressions? Richard Maybury: Correct. All my life, except under Reagan, who had some background in Austrian economics – a background he shared, incidentally, with Margaret Thatcher – it has been official government policy that the cause of recessions and depressions is unknown, so politicians and bureaucrats should be given unlimited powers to do whatever appears necessary to counter them. Daily Bell: That’s handy. The less the government knows, the more power it should have, so if it knows nothing at all, its power should be infinite. That’s a statist’s recipe for nirvana. Daily Bell: What books would you recommend for someone who wants a background in Austrian economics? Richard Maybury: After beginning with my Uncle Eric books, I suggest Planned Chaos by Ludwig von Mises, and Road to Serfdom by F.A Hayek. Then the reader could go on to Human Action, and Theory of Money and Credit by Mises, and Constitution of Liberty by Hayek. All these by Mises and Hayek were written before 1960, and their foresight and explanations of the chaos we are experiencing today are uncanny. Daily Bell: What are the Uncle Eric books? Richard Maybury: They are a set of 11 short books by my alter ego, Uncle Eric, who is an economist writing a series of letters to a 14-year old niece or nephew. The books explain all sorts of things that as students we were never taught because these things might be embarrassing to the government. Daily Bell: Things like, inflation isn’t rising prices, it’s a rising money supply that causes rising prices. Richard Maybury: Yes, exactly. Incidentally, Howard Ruff has a great way of explaining that concept. He says, inflation isn’t rising prices, it’s falling money. Uncle Eric uses that and similar comments from all sorts of sources – including Thomas Jefferson, James Madison, Patrick Henry and the other American founders – to revive the understanding that was once common among Americans, before they began attending these government-controlled schools. Daily Bell: How long do these books take to read? Richard Maybury: A person with normal reading skills will need only about 25 hours for all eleven books. Ever since the books were first published about 20 years ago, I have received stacks of letters from people thanking me and saying the 25 hours was the most eye-opening of their lives. Daily Bell: Are there people who should not read them? Richard Maybury: Yes, certainly. If you are a sheep who wants a shepherd – that is, if you believe a huge, powerful government that controls everything and everyone is a good idea – then these books will give you permanent insomnia. Daily Bell: How do we get the Uncle Eric books? Richard Maybury: You can go to our web site www.richardmaybury.com or phone 800-509-5400, or 602-252-4472, or fax 602-943-2363. Daily Bell: Is that also where we would get your newsletter, Early Warning Report? Daily Bell: Is there a connection between the newsletter and the Uncle Eric books? Richard Maybury: The concepts in the books, especially the Austrian economics, are the basis of the economic analysis and investment recommendations in the newsletter. Those concepts are why the newsletter’s investment track record is so good. The books present a logically consistent framework of economics, law, geopolitics, history and other areas that are always used as the foundation for the investment suggestions. Daily Bell: Yet the books are written so that any reasonably intelligent 14-year old can grasp them easily? Richard Maybury: Yes. When we began the Uncle Eric project in the 1980s, we realized that people no longer had much free time to read. They needed a fast, interesting collection of summaries of what they missed in school and college. Daily Bell: Fast? Let’s put that to the test. You say you use pithy quotes to try to distill important concepts into small packages. Give us a quote that packs as much economics as possible into a single sentence. Richard Maybury: That’s easy. I often quote Ronald Reagan: “Government isn’t the solution, it’s the problem.” Even the most rabid statists, including socialists, who feel government is the cure for every malady, see the truth in that comment. They won’t admit it, of course, but I’ve watched their faces often enough to know the remark hits home. Daily Bell: One more quote? Richard Maybury: I’ve always liked the remark by John Quincy Adams: “All the perplexities, confusion and distress in America arise not from the defects in their constitution or confederation, not from want of honor or virtue, so much as from downright ignorance of the nature of coin, credit and circulation.” Adams said that in 1829, which was almost a half-century after the runaway inflation and other economic chaos of the Revolution, so the economic lessons of the Revolution had apparently already been erased from the memories of the general public. Daily Bell: Not many people today realize that in the American Revolution, the country went through a runaway inflation that totally destroyed the value of the dollar. Richard Maybury: Correct. That also happened in the South during the Civil War, and partly so in the North. Daily Bell: The US is in a war now. Do you think history is repeating? Richard Maybury: No guarantees, but I think that’s the way to bet. If you look at the money supply statistics on the St. Louis Federal Reserve web site, especially the monetary base, which is the raw material from which the money supply is constructed, you can see we are undoubtedly headed in that direction. Daily Bell: What do governments think of your books and newsletter? Richard Maybury: I’ve never heard anything directly from any of them, but I’ve been told often that Early Warning Report circulates under-the-table all over the Pentagon. Richard Maybury: When those people filed out of the room, they were the definition of the word somber. Daily Bell: So you predicted what we are going through now? Richard Maybury: Yes. On our web site you can find a detailed description of our track record. I often wonder how many of those CEOs went home and had the courage to face the facts and do something about them, and how many simply forced themselves to forget everything they heard. Daily Bell: Any other fans of your work? Names we might recognize? Daily Bell: Before we finish, could you give us some investment tips based on Austrian economics? Richard Maybury: In the Track Record section of our web site we’ve posted nine specific stocks recommended in the May 2009 Early Warning Report. That newsletter was mailed May 4th, so you can use, for instance, http://www.bigcharts.com to follow exactly what the nine are doing. Aside from those, I have recommended gold, silver and platinum unceasingly since before 9-11. In the June 2009 Early Warning Report, there is a lengthy explanation why I think gold will go to $3,000, silver to $50, and platinum to $3,000. Daily Bell: You’ve also said oil will go to $300. Richard Maybury: Yes, but bear in mind that I’m not necessarily saying gold, silver, platinum and oil will rise that much, I’m saying the dollar will fall that much. Prices will rise to compensate for the drop in the value of the greenback. Daily Bell: Mr. Maybury, this has been a fascinating interview. We appreciate your taking the time. Thank you. Richard Maybury: I enjoyed it, it was fun. It’s not often that I get the chance to be interviewed by people who are as well equipped to understand what is happening as the Daily Bell is. You are performing an extremely valuable service for your readers and I congratulate you.